An isotonic thermal spring water means that its mineral content is close to that of skin cells. Jonzac thermal spring water is isotonic namely thanks to its specific mineral content. The full benefits of Jonzac’s efficacy are delivered to your skin thanks to certified organic and hypoallergenic1 Jonzac creams and skincare. What is skin made of ? Skin is the largest organ in the human body and it is composed of 70% water! This water contains mineral salts and trace minerals and is normally found in the skin cells. These trace elements provide the skin with the minerals it needs. The skin is not impermeable to exterior elements, quite the contrary! So, when you apply cosmetic care to the skin, the water contained in the product interacts with the water in the skin. 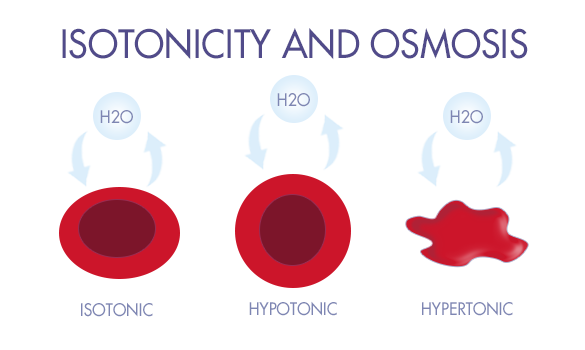 The definition of isotonicity means that the same osmotic pressure is found on either side of a membrane. According to Christine Lafforge, the interest of isotonicity lies in the fact that it allows normal and physiological functions of the skin to take place naturally – this means it is a stress-free process without any massive addition or loss of water through cell pores. We carried out in vitro testing on various thermal spring waters to evaluate their impact on skin cell morphology. Nature constantly tends to maintain balance. Therefore, when water from the skin cells meets water that is more or less concentrated in minerals, the difference in mineral concentration between the added water and that contained in the skin is naturally going to be balanced out. How does that happen? Thanks to the water exchange that takes place in both directions through cell membranes. Therefore, under the conditions of the study, when exposed to water that is more mineralized than skin cells are (=hypertonic), the water in skin cells crosses the cell membrane to « dilute » the hypertonic water and balance out intracellular and extracellular concentrations. Skin cells therefore get dehydrated, lose moisture and become smaller in volume and size. In the presence of a water that is less mineralized that the skin (=hypotonic), water will massively penetrate the skin cells to balance out the differences in concentration on either side of the membrane. 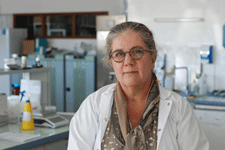 Skin cells then swell, and maybe even « explode » because of the water pressure on the cell walls. With isotonic water, however, skin cells are not disturbed. They remain in a natural environment and their morphology and integrity remain unaltered. What are the benefits of isotonicity ? When water is applied on the skin, for the cells to be as « comfortable » as possible, they must « recognize » this external element. When the mineral content of the water is close to that of the skin cells, the skin feel like it is in its natural environment. The balance of the skin is respected and it can fully benefit from the efficacy of the water supplied. As a facial mist, it is not necessary to pat dry the extra moisture remaining on the skin after you spray it on, since it does not dry the skin out. In the case of dehydrated skin, the addition of an isotonic water allows for the rapid osmotic balance of skin cells. This way, communication between the skin and the cells is restored, ensuring perfect osmosis. What are the various impact on different skin types ? The quantity of minerals in the chosen thermal water will have an impact on skin cells. Our study has demonstrated that there are 3 types of water, each of which has a different impact on the skin. 1/ Hypertonic water is strongly mineralized and reduces skin cell size. 2/ Hypotonic water is less mineralized and increases skin cell size. When water is either hypertonic or hypotonic, skin cells are exposed to stress. Their shape and volume are disturbed. Exchanges between cells no longer occur correctly. Cells either get dehydrated or swell up. 3/ Isotonic water respects the volume and size of cells. When water is isotonic, skin cells are perfectly balanced. Their integrity is maintained and the cells feel comfortable. What are the specificities of Jonzac thermal spring water ? Jonzac thermal spring water is hypermineralized and it is also isotonic. Water is considered as hypermineralized when its concentration in minerals is higher than 1.5 grams per liter. With nearly 7 grams per liter of minerals, Jonzac thermal spring water is classified in the category of hypermineralized waters. This hypermineralization contributes to making it isotonic. Beyond the actual quantities of minerals, it is the diversity of its mineral content that gives Jonzac thermal spring water its many properties. Jonzac thermal spring water contains sulphur and is rich in trace elements. It is also loaded with 11 minerals which makes it highly effective, as has been demonstrated by many trials. Jonzac thermal spring water is hydrating, soothing, anti-inflammatory and revitalizing. These many beauty benefits for the skin have been demonstrated through trials. Jonzac thermal spring water’s behavior is similar to that of saline solution which is the reference standard to determine the isotonic qualities of a water. When given Jonzac thermal spring water, skin cells are pampered and are not subjected to any stress. They are drenched with a water that they recognize as being in osmosis with their own intracellular water. The osmotic balance is perfect. In real life, « osmosis » means that two elements show perfect affinity for each other, just like Jonzac thermal spring water and your skin! Your skin has found its soulmate! 1/ Are all thermal spring waters beneficial for the skin? 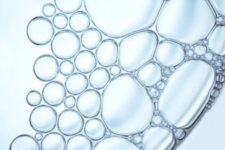 It is best to privilege an ISOTONIC and hypermineralized water so that it can act in perfect osmosis with skin cells. 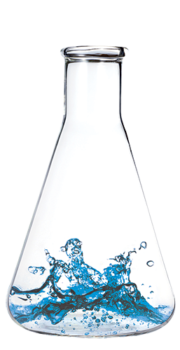 In addition to being hypermineralized, it has been demonstrated through in vitro testing that Jonzac thermal spring water is isotonic. While hypertonic or hypotonic waters respectively increase or decrease the size of skin cells, Jonzac thermal spring water preserves their integrity while respecting the natural balance of the skin. This is true for all skin types, even the most sensitive skin! 2/ How do you explain isotonicity? 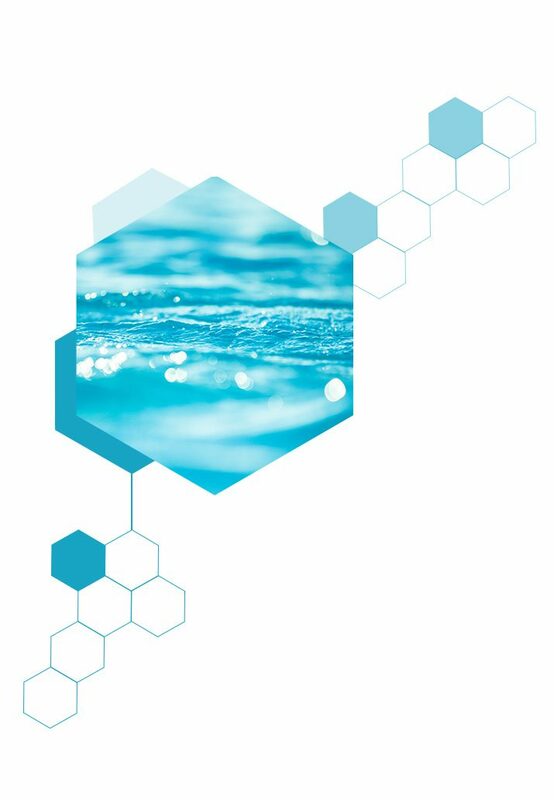 To understand why a water’s isotonicity helps the skin maintain balance and improves the efficacy of skincare, I like to use the image of taking a swim. Imagine it is the summertime and you dive into cold water. Your reaction is that you are paralyzed by the cold, your muscles stiffen up and your natural movements are impaired. It requires an effort to adjust to this different temperature and environment. 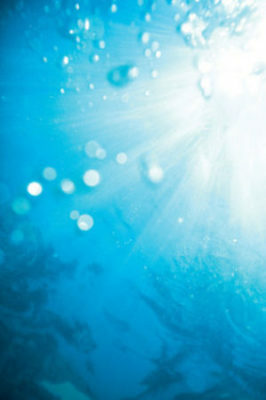 Now, imagine that during this sunny day, you dive into water that is at the perfect temperature. You feel no difference in temperature between the outside and the water, it is just perfect! Your reaction is to swim and relax in the water, fully enjoying all the benefits. The same thing happens with your skin! If you apply non-isotonic water on your skin, it feels like a cold shower. If, on the other hand, you apply isotonic water on your skin, it will feel comfortable because it is a very similar environment. Your skin will be fully ready to enjoy the benefits of the active ingredients it receives, making them even more effective. 1 Formulated and tested to minimize the risk of allergic reactions.